This has it all ceramic bezel, beautiful blue dial and a super comfortable ti bracelet and case. If this was a Swiss or a has a little crown on the dial the wait list would be long. Looks very nice. Do those pushers get uncomfortable? Not at all, this is one of the most comfortable watches I have. Can’t say I’m a fan of those pushers. Quite large. 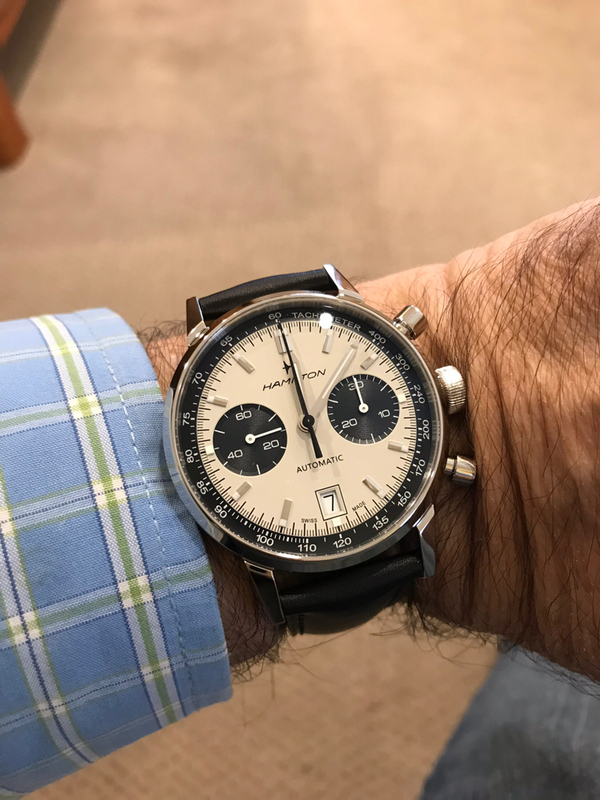 I love the chrono GS's, I just can't do the utter pushers. Congrats on it. Not for me personally , but whatever floats your boat . And trust me ,I've made some strange watch choices . The huge pushers kill it for me. Glad you are happy, though. Enjoy. What you gotta do, you gotta do! Can you provide like 15 more pictures of this watch? I like this model and wish I could see it in the steel. Sure, I can pick it up at the bank and snap some photos. Although it looks like they do in my wrist-flexing picture. No problem in real life.